Via Spiga Dorinda is a Full Rim frame for Women, which is made of Metal. Via Spiga Dorinda Eyeglasses come with a cleaning cloth and protective carrying case. I searched the internet for blue-framed glasses & settled on these from the large selection you offer. 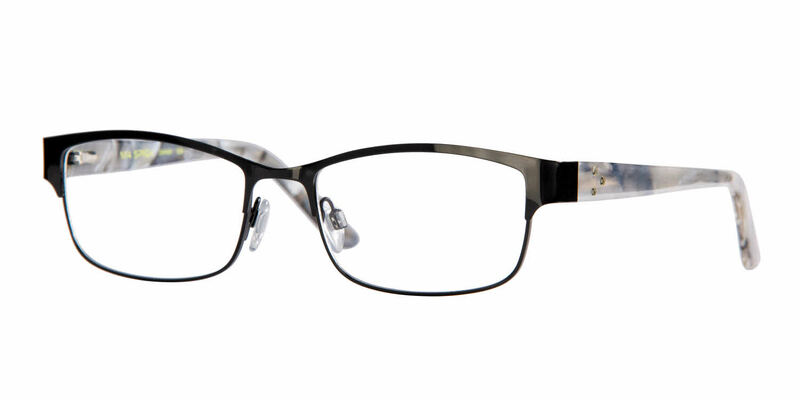 So glad they are available in different sizes, since I have a very small face, and many frames look gargantuan. I do wish FramesDirect offered a way for customers to digitally try on your various styles, but I was pleased with my choice when I received them. The only problem I had was the nose pieces. They were not positioned properly and were very hard & uncomfortable. But a visit to a nearby optical department allowed me to get more comfortable pads that lifted the lenses to the right position.